You’re probably feeling more and more uncomfortable as baby’s weight continues to increase. Healthy eating and some light exercise might help you feel better. Keep doing your pelvic floor exercises. You might notice more Braxton Hicks contractions now. A blood test done earlier in pregnancy will let you know your Rh type. Pre-eclampsia is a serious condition that affects up to 15% of pregnant women and can occur after 20 weeks of pregnancy. If you have pre-eclampsia, or another reason for a high-risk pregnancy, you might need to see your health professionals more often from now. high blood pressure and protein in your urine. If any of these symptoms come on suddenly, contact your midwife or doctor straight away. 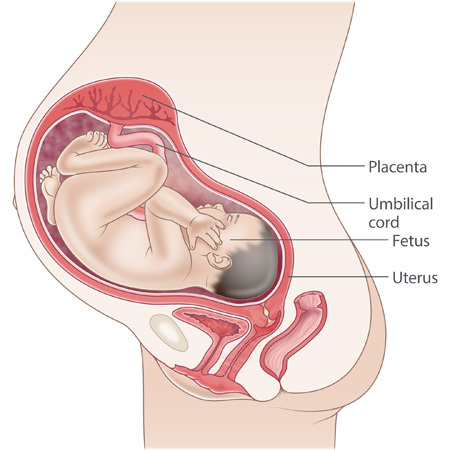 Your baby is about 30 cm from head to bottom and weighs about 2.1 kg. Your baby can swallow up to 1 litre of amniotic fluid a day, and pass the same amount of urine. Your baby can do big kicks and roll over. This might feel a bit uncomfortable for you. Many services can help you adjust after you become a parent. You can read more about getting support.